We have been busy busy busy! If you know me, you will know that I like to have something on every day. And since having The Wee Page Turner we took time off from my crazy busy fill the days schedule and spent more time at home. And, honestly, I hated it. I hate being stuck in and around the house all day. Our garden is lovely but majorly lacking in play equipment and garden furniture which I will hopefully be able to rectify soon as we plan on getting some work done on the garden. So this week we have been to nursery twice, the library (of course), our local soft play, a day trip to Edinburgh, our friend's house (the one with the telephone box in the garden! ), the garden centre and the hospital. Poor wee BookBairn has tonsilitis and an ear infection and she was truly miserable. Thank goodness we responded quickly and got her antibiotics because the next day she was far perkier again! But I think we might have a slower week this week and it will be back to crafting and sensory boxes at home. 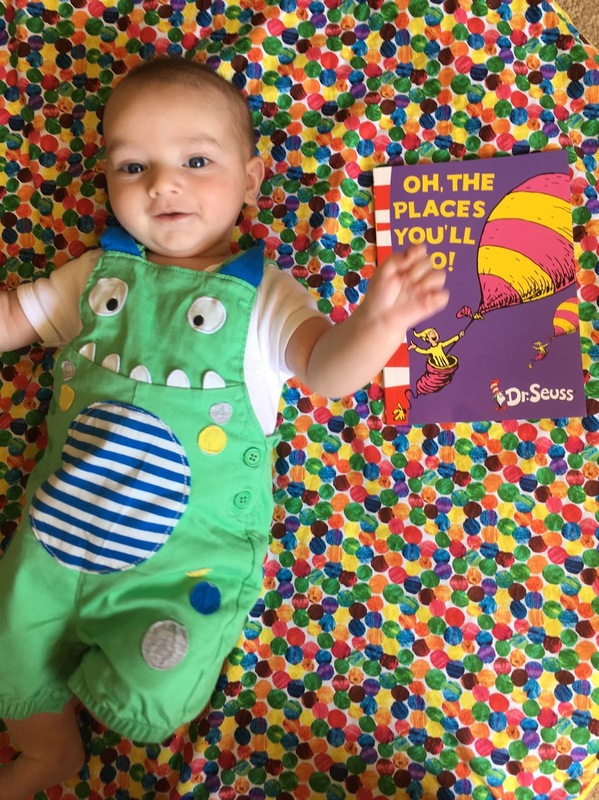 When Kim requested book recommendations for BookBairn or her little brother, I knew instantly the book I would choose; Oh the Places You’ll Go by the formidable Dr Seuss. I read this book for the first time as an adult. Readers of my own blog 'bonniebridgman' will know that it's a favourite of mine and has helped me during a more challenging part of my life. That's what great books can do. They speak to your soul. Now, many of you may not think that a baby or a toddler will need a book that talks to their soul. All they want is a book that they can put in their mouth and gnaw on or simply just enjoy turning (or ripping in my daughter’s case) the pages. Do they really need an important life lesson so early on? I think they do. It doesn't hurt to manage expectations and by that I don't mean to tell them everything is all doom and gloom but let them know early on that they won't be able to have every toy they want in the supermarket when you go shopping so please stop having the tantrum that's making all other shoppers stop and glare at you. When I read the following to my daughter, she gasped, actually gasped. “Wherever you fly, you'll be best of the best. I'm glad she's not encountered much disappointment in her life yet. I don't want her to ever feel sad or insecure or let down but I do know that one day it will happen. I like to think this book will prepare her for it in a small way. If you've not read this book yet, don't think it's all depressing and hopeless. It's not. It's one of the most uplifting reads I've had the pleasure of sharing with my child. It touches on the different paths we might take in life. It indicates that we have to make things happen and it implies that life involves a lot of waiting. The waiting section is one I think will resonate with a lot of us and starts to educate kids about supermarket, post office and theme park queues! The ending of this delightful tale is beautiful. It's encouraging and, dare I say it, truly inspirational. I think it gives a lesson that every child and adult should hear. So go ahead, make your dreams come true and I hope BookBairn gets to read this one day to her little brother. Thank you Bonnie! It's quite daunting thinking about the places these two might go in their future. But I'm sure I'll enjoy holding their hands and encouraging them along the way. I think this book really resonates with adults for explaining to children what we want for them and it's magical rhyme and rhythm, as well as illustrations, make it a great read for children. It really appeals to the reader and the listener. I wrote about this one recently too as I thought it summed up well what I wanted for BookBairn's future. If you'd like to read it I'll link the blog post here. I've also started a new collection of blog posts called 'Little Life Lessons' as sometimes books do more than simply entertain us (although good books must always entertain us) they go a little further and try to show us the way the world could be, should be or open our eyes to another's plight, or another's world. You can find the ones I've written blog posts about in the past here and I think The Places You'll Go fits in well with this collection. 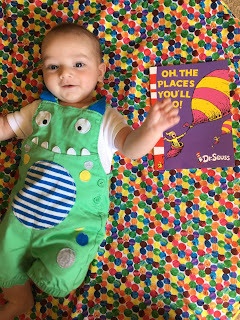 That's all from our 'Baby's First Books' series for now as I've published all the contributor posts that I had been sent so far. If you'd like to join in by recommending a book you would recommend for The Wee Page Turner, or a book you think makes a great new baby gift please do send me an email. 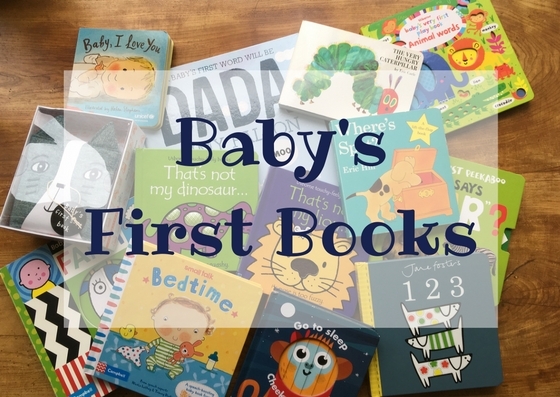 You can find all the other Baby's First Book posts here. Hope you have a lovely week, we'll be having a quieter one I think! 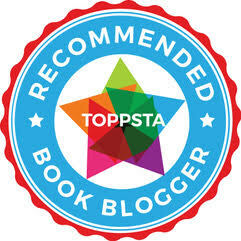 Bonnie is a regular Twitter contributor under the username 'BonnieMrsbbh' and you can find her blog here. It's a fabulous record of life and books and also insights into what it's like to write as she keeps a 'writing diary' of sorts. I very nearly bought this in the States, I do like bringing books back from places I visit, like some Lynley Dodds from Wellington. I'm now absolutely kicking myself for missing the opportunity. It's a great pick and beautifully put into its cobnext. We have a copy of our own already so no need to worry! Oh well, GMa, I suppose you'll just have to go back and get it. Can I come with you? Sounds like a great book and I love the quotes that Bonnie used. Haha! Can I come too? And yes, Bonnie's post is beautifully written!